A chronological day-by-day history of Land Rover. Engineer Gustaf Larson and SKF sales manager Assar Gabrielsson met by chance over a plate of crayfish, and after enjoying their meal agreed to start up production of 'The Swedish Car', ie Volvo. Their vision was to build cars that could withstand the rigors of the country's rough roads and cold temperatures. The first Volvo car rolled off the production line at the factory in Gothenburg in 1927. Only 280 cars were built that year. The first truck, the "Series 1", debuted in January 1928, as an immediate success and attracted attention outside the country. In 1930, Volvo sold 639 cars, and the export of trucks to Europe started soon after; the cars did not become well-known outside Sweden until after World War II. Pentaverken, who had manufactured engines for Volvo, was acquired in 1935, providing a secure supply of engines and entry into the marine engine market. The first bus, named B1, was launched in 1934, and aircraft engines were added to the growing range of products at the beginning of the 1940s. In 1963, Volvo opened the Volvo Halifax Assembly plant, the first assembly plant in the company's history outside of Sweden in Halifax, Nova Scotia, Canada. In 1999, the European Union blocked a merger with Scania AB. That same year, Volvo Group sold its car division Volvo Car Corporation to Ford Motor Company for $6.45 billion. The division was placed within Ford's Premier Automotive Group alongside Jaguar, Land Rover and Aston Martin. Volvo engineering resources and components would be used in various Ford, Land Rover and Aston Martin products, with the second generation Land Rover Freelander designed on the same platform as the second generation Volvo S80. The Volvo T5 petrol engine was used in the Ford Focus ST and RS performance models, and Volvo's satellite navigation system was used on certain Aston Martin Vanquish, DB9 and V8 Vantage models. Ford sold the Volvo Car Corporation in 2010 to Geely Automobile of China for $1.8 billion. The move followed Ford's 2007 sale of Aston Martin, and 2008 sale of Jaguar Land Rover. Renault Véhicules Industriels (which included Mack Trucks, but not Renault's stake in Irisbus) was sold to Volvo during January 2001, and Volvo renamed it Renault Trucks in 2002. Renault became AB Volvo's biggest shareholder with a 19.9% stake (in shares and voting rights) as part of the deal. Renault increased its shareholding to 21.7% by 2010. Sir Stafford Cripps officially opened Rover’s Solihull car plant. As in the tradition of Rover previous main factories dating back to the original Starley and Sutton Rover Bicycle plant from Victorian times, the Solihull plant was named The Meteor Works. Car production started again in 1946, with the first new car to be produced at the factory the Rover P4, from 1949. As well as producing many Rover cars there until the late 1970s, the plant was also the development site of the Land Rover four-wheel drive vehicle in late 1947 and 1948. It is also the development site for Rover's other iconic four wheel drive in the late 1960s, the Range Rover. The Land Rover instantly began out selling Rover cars from its beginning in 1948 and the Solihull plant has remained the home and birthplace of Land Rover ever since. North Works was added to the Solihull site beginning in late 1956 as two storage warehouses. North Works became a complete factory of its own for the introduction of the Rover P6 car in October 1963. The Rover P6 was awarded the International Car of the Year for 1964. The Rover Company merged with Leyland Motors in 1967, which merged shortly afterwards with British Motor Holdings to create the British Leyland Motor Corporation a year later. Solihull continued to manufacture Rover cars, but the most significant new Rover product would be the Range Rover in 1970 - a model whose success would ultimately secure the plant's future in later decades. The factory was extended with Eastworks in 1975 for the new Rover SD1, a bold and futuristic design which would replace the older P6 models. However the plant was ravaged by the industrial strife that had crippled (and eventually bankrupted) the rest of BL, and the resulting quality problems meant the car never fulfilled its promise. The rationalisation of car production in the late 1970s by British Leyland had almost wiped out their all their major British car brands. At Solihull all car production, except for Land Rover vehicles, ceased at Lode Lane. Land Rover and Range Rover as specialist lines of the old Rover Company had remained relatively unscathed from the British Leyland bankruptcy and were split as separate operating company based there. The Rover SD1 assembly hall and paint shop were mothballed, and production of that car was moved to the former Morris plant in Cowley, Oxfordshire. All future Rover car production would take place both here, and at the Austin assembly plant in Longbridge. Following the de-merger of Jaguar from BL in 1984, the Range Rover became BL's flagship product and a stable situation existed from thereon, with new models such as the Discovery debuting in 1989, and the Freelander in 1998 - which finally made use of the old SD1 assembly hall. In 2000, the situation changed once again when BMW (by now the owners of the Rover Group - the successor to BL) decided to sell Land Rover (and the Solihull plant) to Ford. In 2005, production of the Range Rover and the Range Rover Sport at the Solihull plant was temporarily interrupted by protesters from the environmental organization Greenpeace. The protesters infiltrated an assembly facility and temporarily delayed production of the vehicle. Greenpeace cited issues with greenhouse gas emissions, and by extension, global warming. The United States Environmental Protection Agency estimates for the non-supercharged car are 14 mpg‑US (17 L/100 km; 17 mpg‑imp) (combined). Although for this test the EPA used their newly calibrated system for 2008 and on. Greenpeace stated they did not take issue with the production of vehicles such as the Land Rover Defender as they are typically used for off-road applications on a much more frequent basis than vehicles such as the Range Rover Sport which they claim "has been tuned primarily for on road performance". In March 2008, Ford finalised a deal to sell Jaguar and Land Rover to Tata Motors – part of the Indian-based Tata Group, one of the world's largest manufacturers of commercial vehicles. Solihull has since benefited from massive investment in the run up to the launch of the fourth generation Range Rover in 2012 and second generation Range Rover Sport in 2013, following the installation of a new aluminium bodyshell production facility. The plant has now been designated as a "centre for excellence" for aluminium body technology. Production of the Jaguar XE, the first non-4x4 vehicle to be produced at the plant since 1981, began on 13 April 2015, and will be followed by production of the Jaguar F-Pace during 2016. Sir Stirling Moss, Jaguar test driver Norman Dewis and motoring expert Quentin Wilson led a procession of classic Jaguar and Land Rover models to celebrate the beginning of Jaguar production at Solihull, with Stirling Moss formally opening the new production facility. Production of the Jaguar XE has since moved to Castle Bromwich in 2016 costing £100m. The Rover Board sanctioned the production of an ‘all-purpose vehicle on the lines of the Wills-Overland Jeep’ - the Land Rover. It was agreed to build 25 vehicles for evaluation, although this was later extended to 50. The Land Rover’s body was made of more expensive aluminium because steel was still in short supply after the end of WWII. Announced abroad, at the Amsterdam Motor Show of 1948 and initially priced at £450, the vehicle’s functional design, sound engineering and go-anywhere specifications, coupled with optional four-wheel drive, meant that it was in immediate demand the world over and since then over 70% of output has been exported. Originally a 1.6-litre overhead-inlet, side exhaust 4 cylinder engine was employed, as used in the Rover 60 car, but from 1951 this was enlarged to a 2-litre and from 1957 there was a diesel option, the first of many options. Output soared. The 100,000th Land Rover was built in 1954 and the millionth in 1976. The name "Landrover" was officially approved by Rovers Board of Directors. The first Land Rover made its debut in 1948. It was designed with brilliant simplicity for extraordinary ability and unrivalled strength and durability. In fact, six decades on it is estimated that two-thirds of all these incredible vehicles are still at work – many of them in some of the most extreme conditions and inhospitable places on earth. The original 1948 Land Rover was ingeniously designed and engineered for extreme capability and strength. With extremely robust construction and characteristics such as short front and rear overhangs, it drove off the production line ready to take on some of the world’s toughest terrain. Today these qualities are as significant a part of what makes a Land Rover vehicle unique as they were 60 years ago. The Land Rover was the product of continuous evolution and refinement throughout the 1950s and 1960s with improved stability and a tighter turning circle. It was a period in which Land Rover took the lead in the emerging market for four-wheel drive vehicles. As a tough, reliable mobility platform, countless organisations came to depend on Land Rover vehicles to get personnel and equipment into the most challenging situations…and then safely out again. From organisations such as Born Free Foundation to The Royal Geographical Society and Biosphere Expeditions - we enter the second decade of the 21st century with them still relying on Land Rover In keeping with the forward-thinking philosophy that founded Land Rover, a radical, entirely new product was introduced in 1970 and created its very own vehicle category. This overnight sensation was the original Range Rover. It had all the capability of a Land Rover with the comfort and performance of an on-road car. This culture of innovation has developed ever since with both Land Rover and Range Rover vehicles: new models, more refinement, more innovative technology, more efficiency and fewer emissions. And it continues with initiatives such as e_Terrain Technologies (which improves the environmental performance of vehicles by reducing CO2 emissions), Sustainable Manufacturing and CO2 Offsetting. Land Rover will remain at the forefront of advanced design – the new small Range Rover is a testament to the vision that takes the company forward and keeps it at the cutting edge of technology and engineering. The Land Rover was officially launched at the Amsterdam Motor Show. Brothers Maurice and Spencer Wilks, developed the vehicle as a result of a conversation about Maurice's American 4x4. Realising the gap in the British market for such a vehicle, they quickly produced a prototype out of aluminium and steel, metals that were still rationed in England at the time. They used interior components from their Rover saloon cars. Featuring four-wheel drive and a 1.6 litre engine from the Rover P3 60 saloon, it was shown with a canvas top and optional doors. Doors eventually became standard, as did a system where two and four-wheel drive could be selected in the high range with permanent four-wheel drive in the low range. The original 1948 Land Rover was ingeniously designed and engineered for extreme capability and strength. With extremely robust construction and characteristics such as short front and rear overhangs, it drove off the production line ready to take on some of the world’s toughest terrain. Today these qualities are as significant a part of what makes a Land Rover vehicle unique as they were 60 years ago. The Land Rover was the product of continuous evolution and refinement throughout the 1950s and 1960s with improved stability and a tighter turning circle. It was a period in which Land Rover took the lead in the emerging market for four-wheel drive vehicles. As a tough, reliable mobility platform, countless organisations came to depend on Land Rover vehicles to get personnel and equipment into the most challenging situations…and then safely out again. From organisations such as Born Free Foundation to The Royal Geographical Society and Biosphere Expeditions - we enter the second decade of the 21st century with them still relying on Land Rover In keeping with the forward-thinking philosophy that founded Land Rover, a radical, entirely new product was introduced in 1970 and created its very own vehicle category. This overnight sensation was the original Range Rover. It had all the capability of a Land Rover with the comfort and performance of an on-road car. This culture of innovation has developed ever since with both Land Rover and Range Rover vehicles: new models, more refinement, more innovative technology, more efficiency and fewer emissions. And it continues with initiatives such as e_Terrain Technologies (which improves the environmental performance of vehicles by reducing CO2 emissions), Sustainable Manufacturing and CO2 Offsetting. Land Rover will remain at the forefront of advanced design – the new small Range Rover is a testament to the vision that takes the company forward and keeps it at the cutting edge of technology and engineering. The first ‘For Sale’ Series II Land Rover vehicles rolled off the production line. The regular model had a 2-litre petrol engine and cost £640. The Land Rover Series II was officially released to coincide with the tenth anniversary of the Land Rover launch date. It came in 88 in (2,200 mm) and 109 in (2,800 mm) wheelbases (normally referred to as the 'SWB' and 'LWB'). This was the first Land Rover to receive the attention of Rover's styling department- Chief Stylist David Bache produced the familiar 'barrel side' waistline to cover the vehicle's wider track and the improved design of the truck cab variant, introducing the curved side windows and rounded roof still used on current Land Rovers. The Series II was the first vehicle to use the well-known 2.25-litre petrol engine, although the first 1,500 or so short wheelbase (SWB) models retained the 52 hp (39 kW) 2.0-litre petrol engine from the Series I. This larger petrol engine produced 72 hp (54 kW) and was closely related to the 2.0-litre diesel unit still in use. This engine became the standard Land Rover unit until the mid-1980s when diesel engines became more popular. The regular model with a 2-litre petrol engine cost £640. The Jeep Wagoneer was introduced. it pioneered the sport utility vehicle concept. Based on a pickup truck chassis with a station wagon body style, the Wagoneer was more carlike than any other 4x4 on the market. Compared with offerings from General Motors, International Harvester, and Land Rover — which were producing utilitarian work-oriented vehicles with spartan truck-like interiors — the Wagoneer's luxury set it apart. Based on the Jeep SJ platform, the revolutionary Wagoneer sported an advanced overhead cam straight-six engine, and offered features unheard of at the time in any other mainstream 4WD vehicle, such as an independent front suspension, power steering, and automatic transmission. The Wagoneer made its debut seven years before Land Rover launched its Range Rover in Great Britain, and 24 years before that upscale marque appeared in the US. It was replaced by the smaller Jeep Grand Cherokee. The 15 thieves involved in the Great Train Robbery, one of the most famous heists of all time, escaped in an ex-British Army truck and two stolen Land Rover four-wheel drive all-terrain vehicles, making off with some $7 million in stolen loot. The mastermind of the Great Train Robbery was Bruce Reynolds, a known burglar and armed robber. Inspired by the railroad heists of the Wild West in America, Reynolds and 14 other men wearing ski masks and helmets held up the Royal Mail train heading between Glasgow, Scotland, and London, England. They used a false red signal to get the train to stop, then hit the driver with an iron bar, seriously injuring him, in order to gain control of the train. The thieves loaded 120 mailbags filled with the equivalent of $7 million in used bank notes into their Land Rovers and sped off. The vehicles had been stolen in central London and marked with identical license plates in order to confuse the police. Maurice Wilks (59), the automotive engineer responsible for the inspiration and concept work that led to the development of the Land Rover off-road utility vehicle, died. At the time of his death he was the chairman of the Rover Company. Born in 1904 Maurice Carey Wilks was educated at Malvern and gained his initial experience of the motor industry with General Motors, for whom he worked for two years from 1926. From America he moved to the Hillman Motor Car Co. at Coventry, where he worked as a planning engineer for a further two years. In 1930 he joined the Rover Company as chief engineer, which position he held until he was made technical director in 1946. In 1960 he was appointed managing director of the Rover company, and in 1962 he became chairman. This position suited him as he could devote more of his time to engineering policy rather than day-to-day management. In 1930 with his brother, Spencer, who was then managing-director, he was largely responsible for taking the decision to produce only high quality cars.The boldness of his decision can be appreciated when it is remembered that the economy of the country and the industry in particular was at this time at a low ebb. During the war he headed the Rover team responsible for the development of the first production version of the gas-turbine aircraft engine. He was convinced that gas turbines would eventually play an important role as power units for wheeled vehicles.His foresight led the Rover Company to continue this development after the war and resulted in the first gas-turbine car being produced by the Rover Company in 1949. At this time he was a moving spirit in the development of the Motor Industries Research Establishment proving ground which ultimately became of such value to the industry as a whole. The decision to produce the Land Rover was also that of Maurice Wilks, in conjunction with his brother. Essentially a quiet, shy, studious man he shunned publicity and preferred to remain in the background. He had a brilliant knowledge of engineering detail and was regarded as one of the industry’s outstanding engineers, In addition, he had great boldness and the ability to foresee the requirements of his company for years ahead. British Motor Corporation and Leyland announced that they would merge to form the British Leyland Corporation. It was partly nationalised in 1975, when the UK government created a holding company called British Leyland, later BL, in 1978. It incorporated much of the British-owned motor vehicle industry, which constituted 40 percent of the UK car market, with roots going back to 1895. Despite containing profitable marques such as Jaguar, Rover and Land Rover, as well as the best-selling Mini, British Leyland had a troubled history. In 1986 it was renamed as the Rover Group, later to become MG Rover Group, which went into administration in 2005, bringing mass car production by British-owned manufacturers to an end. MG and the Austin, Morris and Wolseley marques became part of China's SAIC, with whom MG Rover attempted to merge prior to administration. Today, Mini, Jaguar Land Rover and Leyland Trucks (now owned by BMW Group, TATA and Paccar, respectively) are the three most prominent former parts of British Leyland which are still active in the automotive industry, with SAIC-owned MG Motor continuing a small presence at the Longbridge site. Certain other related ex-BL businesses, such as Unipart, continue to operate independently. British Leyland Motor Corporation was formed through the merger of British Motor Holdings Ltd. and Leyland Motor Corp. Ltd. It was partly nationalised in 1975, when the UK government created a holding company called British Leyland, later BL, in 1978. With headquarters in London, the company had interests in about 95 percent of the British automotive industry, and it manufactured vehicles ranging from commercial trucks and buses to private automobiles, construction equipment, and engines.Leyland, initially the dominant partner in the merger, was the first British manufacturer to concentrate on commercial vehicles. James Sumner of Leyland, Lancashire, built his first steam-driven wagon in 1884; and in 1896 he allied with the wealthy Spurrier family to set up the Lancashire Steam Motor Company, renamed Leyland Motors Ltd. in 1907, after its first experiments with gasoline engines. Except briefly in 1920–23, the company did not produce automobiles until 1961, when it acquired Triumph Motor Co. Ltd. (Triumph had begun in 1903 as a motorcycle manufacturer and began making cars in 1923.) In 1966 Leyland merged with another car manufacturer, The Rover Co. Ltd. (founded 1904), and the combined companies became Leyland Motor Corp. Ltd. The first chairman of the new British Leyland in 1968, Donald Gresham Stokes, Baron Stokes, had also been the old Leyland’s last chairman. British Motor Holdings Ltd. had a much more complex history, but basically it grew out of three auto manufacturers: Morris, Austin, and Jaguar. Early in the 20th century William Richard Morris (later 1st Viscount Nuffield) founded a garage in Oxford, which after 1910 became known as Morris Garages Limited. In the 1920s, with Cecil Kimber as general manager, it began producing the popular M.G. cars, which were manufactured until 1980, when they were discontinued because of rising production costs. The M.G. 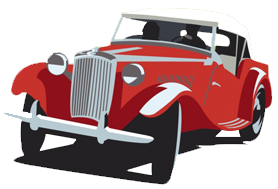 Car Company was created in 1927 and was absorbed by another Morris car company, Morris Motors Ltd., in 1935. In that same year, another organization, Wolseley Motors Ltd. (founded in 1901 and taken over by Morris in 1927), was similarly absorbed. In 1952 another venerable car manufacturer, Austin Motor Co. Ltd. (founded in 1905 by Herbert Austin), merged with Morris Motors to form British Motor Corporation Ltd. It continued to turn out Austin, Morris, M.G., and Wolseley cars and the highly successful “Mini” series. Although production of the Mini Cooper ended in 1971, the model was relaunched in 1990 and by 2001 was selling internationally through parent company Bayerische Motoren Werke AG (BMW). The first Jaguar car was produced in 1936 by S.S. Cars Ltd. (founded 1932 in Coventry), which was renamed Jaguar Cars Ltd. in 1945 both to avoid the accidental reminder of the German SS and to highlight the name of the make that had proved to be most successful. Jaguar in 1960 bought Daimler Co. Ltd. (founded 1893), makers of limousines and other prestige cars; and in 1961 it bought Guy Motors Ltd. (founded 1919), a commercial-vehicle manufacturer. In 1966 Jaguar amalgamated with the Austin-Morris interests (i.e., the British Motor Corporation) to form British Motor Holdings Ltd., which two years later merged with Leyland to become British Leyland; in 1984 Jaguar was sold. With two successive name changes, British Leyland became BL Limited in 1979. The company assumed its current name in 1982. In 1981 BL entered into a joint venture with Honda Motor Company, Ltd., of Japan to produce Japanese-designed Triumph Acclaims in the United Kingdom. BL began selling its interests in the 1980s, and by 1990 the Ford Motor Company had acquired full ownership of Jaguar. BMW purchased Rover in 1994 but later sold the sport utility vehicle (SUV) brand to Ford, which continued to develop the Land Rover line of SUVs as part of its Premier Automotive Group. That group also comprised Aston Martin, Jaguar, and Volvo. British Motor Holdings (BMH) merged with LMVC (Leyland Motor Vehicle Corporation) to become British Leyland Motor Corporation. It was partly nationalised in 1975, when the UK government created a holding company called British Leyland, later BL, in 1978. It incorporated much of the British-owned motor vehicle industry, which constituted 40 percent of the UK car market, with roots going back to 1895. Despite containing profitable marques such as Jaguar, Rover and Land Rover, as well as the best-selling Mini, British Leyland had a troubled history. In 1986 it was renamed as the Rover Group, later to become MG Rover Group, which went into administration in 2005, bringing mass car production by British-owned manufacturers to an end. MG and the Austin, Morris and Wolseley marques became part of China's SAIC, with whom MG Rover attempted to merge prior to administration. Today, MINI, Jaguar Land Rover and Leyland Trucks (now owned by BMW Group, TATA and Paccar, respectively) are the three most prominent former parts of British Leyland which are still active in the automotive industry, with SAIC-owned MG Motor continuing a small presence at the Longbridge site. Certain other related ex-BL businesses, such as Unipart), continue to operate independently. The Range Rover was launched to the press at the Meudon Hotel, Falmouth, Cornwall (UK). The on-the-road launch price including taxes was £1,998. The first-generation Range Rover was produced between 1970 and 1996. It was available only in a 2-door body until 1981, though prior to this 4 door models were produced by specialist firms. Unlike other 4x4s such as the Jeep Wagoneer, the original Range Rover was not designed as a luxury-type vehicle. While certainly up-market compared to preceding Land Rover models, the early Range Rovers had fairly basic, utilitarian interiors with vinyl seats and plastic dashboards that were designed to be washed down with a hose. Convenience features such as power steering, carpeted floors, air conditioning, cloth/leather seats, and wooden interior trim were fitted later. The Range Rover was a body-on-frame design with a box section ladder type chassis, like the contemporary Series Land Rovers. The Range Rover utilised coil springs as opposed to leaf springs, permanent four-wheel drive, and four-wheel disc brakes. The Range Rover was originally powered by various Rover V8 engines and diesel engines. Originally, the Range Rover was fitted with a detuned 130 hp (97 kW) version of the Buick-derived Rover V8 engine. In 1984, the engine was fitted with Lucas fuel injection, boosting power to 155 hp (116 kW). The 3.5-litre (3,528 cc) engine was bored out to a displacement of 3.9 litres (3,947 cc) for the 1990 model year, and 4.2-litre (4,215 cc) in 1992 (1993 model year) for the 108-inch Long Wheelbase Vogue LSE (County LWB [long wheelbase] in North America). One of the first significant changes came in 1981, with the introduction of a four-door body. Shortly after they introduced twin thermo fan technology to reduce significant overheating problems 1970s models experienced in Australia. In 1988, LR introduced a 2.4-litre turbodiesel (badged Vogue Turbo D) arrived with 112 bhp (84 kW), manufactured by Italian VM Motori. The same engine was also available in the Rover SD1 passenger car. The diesel project was codenamed project Beaver. During the project, 12 world records were broken, including the fastest diesel SUV to reach 100 mph (160 km/h), and the furthest a diesel SUV has travelled in 24 hours. In 1990 project Otter was unveiled. This was a mildly tuned 2.5-litre, 119 bhp (89 kW) version of the 'Beaver' 2.4. In 1992, Land Rover finally introduced their own diesel engines in the Range Rover, beginning with the 111 bhp (83 kW) 200TDi, first released in the Land Rover Discovery and following in 1994, the 300 TDi, again with 111 bhp. The Range Rover with chassis no. 1 was a green model with the registration "YVB 151H", and is now on exhibition at Huddersfield Land Rover Centre, Huddersfield, West Yorkshire. The first generation model was known as the Range Rover until almost the end of its run, when Land Rover introduced the name Range Rover Classic to distinguish it from its successors. British Leyland was nationalised. It incorporated much of the British-owned motor vehicle industry, which constituted 40 percent of the UK car market, with roots going back to 1895. Despite containing profitable marques such as Jaguar, Rover and Land Rover, as well as the best-selling Mini, British Leyland had a troubled history. In 1986 it was renamed as the Rover Group, later to become MG Rover Group, which went into administration in 2005, bringing mass car production by British-owned manufacturers to an end. MG and the Austin, Morris and Wolseley marques became part of China's SAIC, with whom MG Rover attempted to merge prior to administration. Today, MINI, Jaguar Land Rover and Leyland Trucks (now owned by BMW Group, TATA and Paccar, respectively) are the three most prominent former parts of British Leyland which are still active in the automotive industry, with SAIC-owned MG Motor continuing a small presence at the Longbridge site. Certain other related ex-BL businesses, such as Unipart), continue to operate independently. The Land Rover One Ten was announced at the Geneva Motor Show. Specially commissioned for the show, the Rolls-Royce Camargue Beau Rivage ("Beautiful Shore") built by Hooper and Co was sold within two hours of being displayed to the public. Protesters tried to stop Land Rover motor company being sold to US. The state-owned car company BL plc formerly British Leyland, said that it was pursuing two offers for its Land Rover division after negotiations with the General Motors Corporation collapsed. Range Rover of North America, Inc. soon established its headquarters in Lanham, Maryland with Charles R. Hughes as President and CEO. Just before Christmas 1985 Range Rover of North America (later changed to Land Rover North America), was established to pave the way for a US launch in 1987. Austin-Rover was renamed the Rover Group. It initially included the Austin Rover Group car business (comprising the Austin, Rover, Mini and MG marques), Land Rover Group, Freight Rover vans and Leyland Trucks. The Rover Group was owned by British Aerospace (BAe) from 1988 to 1994, when BAe sold the remaining car business to the German company BMW. The group was further broken up in 2000, when Ford acquired the Land Rover division, with the Rover and MG marques continuing with the much smaller MG Rover Group until 2005. Ownership of the original Rover Group marques is currently split between BMW (Germany), SAIC (China), and Tata Motors (India). British Aerospace (BAe) purchased 'The Rover Group' for £150 million. The Rover Group plc was the name given in 1986 to the British vehicle manufacturer BL (formerly British Leyland), which had been state-owned company since 1975. It initially included the Austin Rover Group car business (comprising the Austin, Rover, Mini and MG marques), Land Rover Group, Freight Rover vans and Leyland Trucks. The Rover Group also owned the dormant trademarks from the many companies that had merged into BL and its predecessors such as Triumph, Morris, Wolseley, Riley and Alvis. BAe sold the remaining car business to the German company BMW in 1994. The group was further broken up in 2000, when Ford acquired the Land Rover division, with the Rover and MG marques continuing with the much smaller MG Rover Group until 2005. Ownership of the original Rover Group marques is currently split between BMW (Germany), SAIC (China), and Tata Motors (India), the latter owning the Rover marque itself with its subsidiary Jaguar Land Rover owning much of the assets of the historic Rover company. The Land Rover Discovery was unveiled at the Frankfurt Motor Show. Code-named "Project Jay", the new model was based on the chassis and drivetrain of the more upmarket Range Rover, but with a lower price aimed at a larger market segment intended to compete with Japanese offerings. This was the only Discovery generation with a four-cylinder petrol engine. Ford acquired Jaguar Cars for $2.5 billion. Under Ford's ownership Jaguar expanded its range of products with the launch of the S-Type in 1999 and X-type in 2001. After Land Rover's May 2000 purchase by Ford, it became closely associated with Jaguar. In many countries they shared a common sales and distribution network (including shared dealerships), and some models shared components, although the only shared production facility was Halewood Body & Assembly, for the X-Type and the Freelander 2. However operationally the two companies were effectively integrated under a common management structure within Ford's PAG. On 11 June 2007, Ford announced that it planned to sell Jaguar, along with Land Rover and retained the services of Goldman Sachs, Morgan Stanley and HSBC to advise it on the deal. The sale was initially expected to be announced by September 2007, but was delayed until March 2008. Private equity firms such as Alchemy Partners of the UK, TPG Capital, Ripplewood Holdings (which hired former Ford Europe executive Sir Nick Scheele to head its bid), Cerberus Capital Management and One Equity Partners (owned by JP Morgan Chase and managed by former Ford executive Jacques Nasser) of the US, Tata Motors of India and a consortium comprising Mahindra and Mahindra (an automobile manufacturer from India) and Apollo Management all initially expressed interest in purchasing the marques from the Ford Motor Company. Before the sale was announced, Anthony Bamford, chairman of British excavator manufacturer JCB had expressed interest in purchasing the company in August 2006, but backed out upon learning that the sale would also involve Land Rover, which he did not wish to buy. On Christmas Eve of 2007, Mahindra and Mahindra backed out of the race for both brands, citing complexities in the deal. On 1 January 2008, Ford formally declared that Tata was the preferred bidder. Tata Motors also received endorsements from the Transport And General Worker's Union (TGWU)-Amicus combine as well as from Ford. According to the rules of the auction process, this announcement would not automatically disqualify any other potential suitor. However, Ford (as well as representatives of Unite) would now be able to enter into detailed discussions with Tata concerning issues ranging from labour concerns (job security and pensions), technology (IT systems and engine production) and intellectual property, as well as the final sale price. Ford would also open its books for a more comprehensive due diligence by Tata. On 18 March 2008, Reuters reported that American bankers Citigroup and JP Morgan would finance the deal with a USD 3 billion loan. On 26 March 2008, Ford announced that it had agreed to sell its Jaguar and Land Rover operations to Tata Motors of India, and that they expected to complete the sale by the end of the second quarter of 2008. Included in the deal were the rights to three other British brands, Jaguar's own Daimler, as well as two dormant brands Lanchester and Rover. On 2 June 2008, the sale to Tata was completed at a cost of £1.7 billion. On 18 January 2008, Tata Motors, a part of the Tata Group, established Jaguar Land Rover Limited as a British-registered and wholly owned subsidiary. The company was to be used as a holding company for the acquisition of the two businesses from Ford - Jaguar Cars Limited and Land Rover. That acquisition was completed on 2 June 2008. On 1 January 2013, the group, which had been operating as two separate companies (Jaguar Cars Limited and Land Rover), although on an integrated basis, underwent a fundamental restructuring. The parent company was renamed to Jaguar Land Rover Automotive PLC, Jaguar Cars Limited was renamed to Jaguar Land Rover Limited and the assets (excluding certain Chinese interests) of Land Rover were transferred to it. The consequence was that Jaguar Land Rover Limited became responsible in the UK for the design, manufacture and marketing of both Jaguar and Land Rover products. Major job cuts were reported to be on the way at the Rover Group as the recession affected demand for the company's Rover and Land Rover products. World premiere of the Smart city-coupé and the European launch of the Land Rover Freelander at the IAA in Frankfurt, Germany. Ford Motor Company announced that it has reached a memorandum of understanding to buy Land Rover from the BMW Group. BMW sold the bulk of the Rover Group (the Rover and MG marques) to the Phoenix Consortium, while it retained the rights to the Mini marque, and sold Land Rover to Ford. MG Rover went into administration in 2005 and its key assets were purchased by Nanjing Automobile Group, with Nanjing restarting MG sports car and sports saloon production in 2007. During that year Nanjing merged with SAIC Motor (the largest vehicle manufacturer in China). During 2009 the UK Subsidiary was renamed MG Motor UK. The MG TF was manufactured at the former MG Rover Longbridge plant and sold within the UK from 2008 - 2010. In 2011 the first all new MG for 16 years (the MG 6) was launched in the UK (assembled at the Longbridge factory). During 2013 a super-mini was added to the line up (the MG 3), this went on to help MG Motor become the fastest growing car manufacturer within the UK in 2014. The Rover brand, which had been retained by BMW and licensed to MG Rover, was sold to Ford, which had bought Land Rover from BMW in 2000. The rights to the dormant Rover brand were sold by Ford, along with the Jaguar Cars and Land Rover businesses, to Tata Motors in 2008. BMW Group and Ford Motor Company announced that they had signed a definitive agreement for Ford to buy the Land Rover business from BMW. Ford officially took ownership of Land Rover from the BMW Group. Ford bought rights to the Rover name from BMW for approximately £6 million. Ironically no Rover branded cars were produced whilst Ford owned the brand. As part of Ford's agreement to sell their Jaguar & Land Rover operations early this year to Tata Motors, the Rover brand name was included in the deal. India's Tata Motors offered £1.03bn for Ford's Jaguar and Land Rover brands, according to a Press Trust of India report carried in local newspapers. Ford Motor Co. named Tata Motors Ltd. the top bidder for its Jaguar and Land Rover brands and entered into "focused negotiations at a more detailed level." The Ford Motor Company announced the sale of its Jaguar and Land Rover divisions to the Tata Group, one of India's oldest and largest business conglomerates, for some $2.3 billion--less than half of what Ford originally paid for the brands. The sale came at a time when Ford, along with much of the rest of the auto industry, was experiencing a sales slump as a result of the global economic crisis. For Tata, which earlier that year had unveiled the Nano, the world's cheapest car, the purchase of the venerable British-based luxury brands was referred to by some observers as a "mass to class" acquisition. India’s Tata Motors launched its ultra-cheap ($2,000) two-cylinder 624 cc Nano car in Mumbai. The vehicle was hoped to herald a revolution by making it possible for the world's poor to purchase their first car. Creative cost-saving was evident throughout the Nano. Flat side glass, a single wiper and no tailgate, three wheelnuts instead of four and a single door lock all help to keep the price low. But although the entry-level model was spartan, the CX and LX models had air-con. Incredibly for such a cheap car, a huge range of accessories and customisation options are offered, from decal sets to bodykits and dashboard trims. The 625cc, twin-cylinder engine develops 35bhp, but with only 600 kg to carry, a 50-55 mph cruise was achievable. The low weight meant that all-round drum brakes could be utilised. Despite the cheaper technology, the Nano had independent suspension front and rear, but was designed without anti-roll bars. With such a small engine, fuel consumption was variable with load and speed, but 55mpg was an easy average. The steering, not power-assisted, was light at parking speeds, and reasonably sharp. It rode well over India's terrible roads, thanks in part to tall 65 and 70 section tires. The second-generation Nano was expected to be sold in the United States by 2015. The original Nano is not street legal in the US, and cannot legally be sold as a grey market import until 2034, when the original 2009 models receive a 25-year exemption from the US Customs and Border Protection. Despite a readily-available dealership network in the US through the Jaguar Land Rover division of Tata, Tata Motors will not use Jaguar Land Rover to sell the Nano. Van maker LDV was placed in administration after the collapse of a rescue deal by Malaysian firm Weststar. The assets were sold and up to 850 jobs and thousands more in the supply chain were lost. LDV was formed in 1993 as Leyland DAF Vans Limited following a management buy-out of DAF NV's Leyland DAF van manufacturing division, following the bankruptcy of the Dutch company. Later the name was officially changed to LDV Limited. Prior to its merger with Leyland Trucks and DAF Trucks in 1987 it was part of the British Leyland / Austin Rover Group empire and was latterly the Freight Rover arm of the Land Rover Group division. In December 2005, after going into administration, LDV was bought by group Sun Capital Partners/Sun European Partners and was subject to a financial restructuring. What Van reported LDV's commitment to its existing customers, including an assurance from their marketing director that their production target of 1000 vans per month would put them well above break-even point. The Russian GAZ Group acquired LDV on 31 July 2006, and also established a new company, GAZ International, based in the United Kingdom, to focus on the automotive industry.The BBC reported a GAZ spokesperson as saying that the company had appointed former Ford of Europe executive Martin Leach and former A.T. Kearney executive Steve Young to run the business, and that it planned to expand production at LDV's Birmingham plant by adding new product lines and entering new markets in Europe and elsewhere. GAZ had plans to export LDV technology to Russia, and start producing the Maxus at the GAZ Nizhny Novgorod plant in Russia with 50,000 as an initial volume. There were also proposals to export the GAZ Maxus to Australia, a traditional market for British Leyland. However, GAZ's plans never really showed any increased output, and due to the severe worldwide recession and a lack of long-term investment and commitment, production was halted at LDV's Birmingham factory in December 2008. After United Kingdom's Government tried once again to save the company by agreeing to pour in £5 million of grants to enable Malaysia's WestStar Corporation to purchase LDV, WestStar failed to secure financing. Britons Robert Belcher and Stephen Cooper driving a Land Rover Discovery arrived at the Mount Nelson Hotel in Cape Town to set a new world record for driving from London to Cape Town, making the 10,000-mile journey in 10 days, 3 hours and 16 minutes. The pair left London at 0500 GMT on Friday 4 October 2013 from the RAC Club on Pall Mall. En route, they encountered heavy rain and thunderstorms in Tunisia, a tense border crossing into Libya following US military activity, a fuel shortage in Egypt and giant potholes in Ethiopia. They visited 13 countries in all: England, France, Italy, Tunisia, Libya, Egypt, Sudan, Ethiopia, Kenya, Tanzania, Zambia, Botswana and South Africa. Passing through Europe in the first 27 hours, the pair managed to cover more than 1,700 miles – 17% of the total mileage in just 11% of the target time. At 09:22 the last ever Land Rover Defender produced was rolled out of Jaguar Land Rover's Solihull plant in the UK. Waymo, formerly known as Google's self-driving car project, announced a partnership with Jaguar Land Rover to build self-driving Jaguar luxury SUVs for the company's autonomous Silicon Valley taxi fleet.